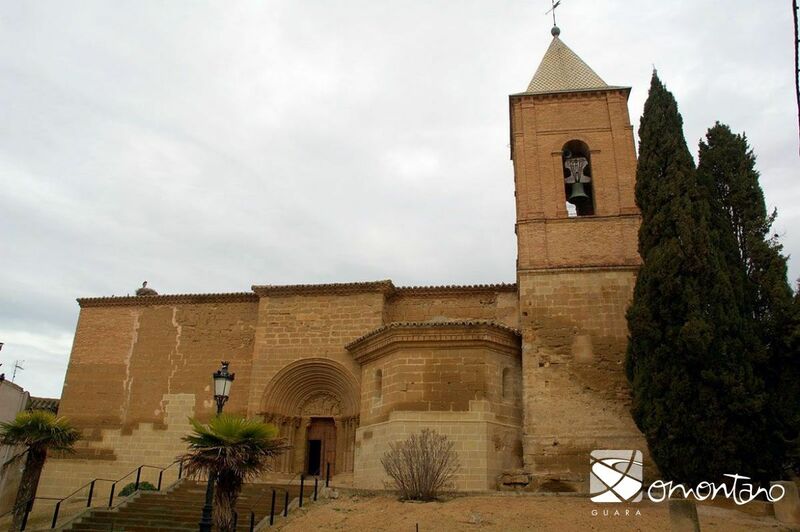 The church of Nuestra Señora de la Asunción in Peralta de Alcofea was built at the end of the 12th century. 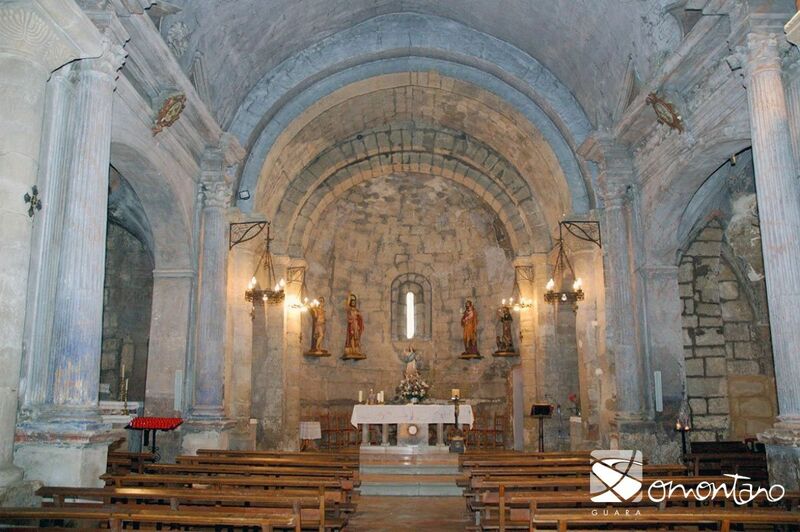 The structure and interior decoration reflect the Romanesque style; a semi-circular apse, a nave covered with a barrel vault and half columns with capitals roughly carved with vegetal and geometrical motifs. However, construction was prolonged and continued into the 13th century, resulting in the incorporation of emerging Gothic influences as can be seen in the slight pointed aspect of the vault and the arches as well as the impressive splayed doorway. Renovations were made to include the two side chapels in the 16th century, opening the first section of the nave with huge Renaissance doorways. The inscription that appears on the church’s exterior next to the entrance probably makes reference to these additions: ME FE ANO 1577. The chapel to the south is covered with a stellar vault while the one to the north has an elliptic vault. The entrance doorway is the only way to enter the chapel and represents the frontier between the normality of the outside world and the peace and calm of the interior; a place to pray and reflect. It has 6 archivolts, staggered in a way to form a funnel shape, giving the door a splayed appearance. 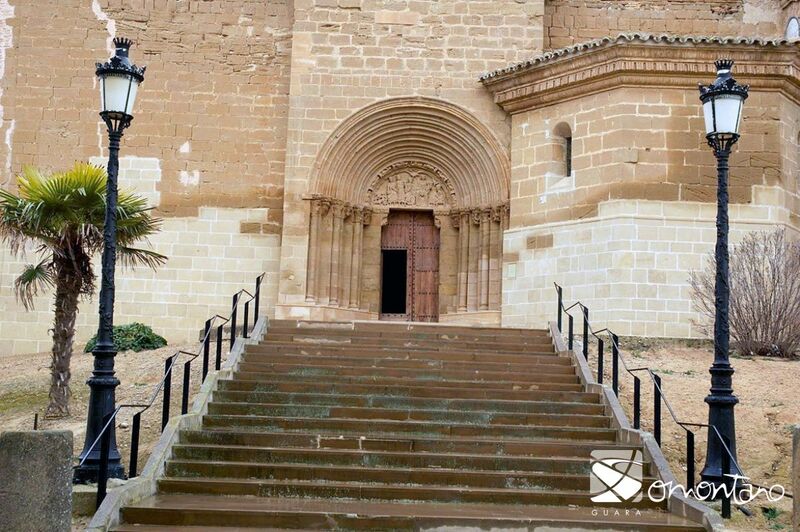 The archivolts rest on columns that protrude from the wall, which are topped with highly decorated capitals. 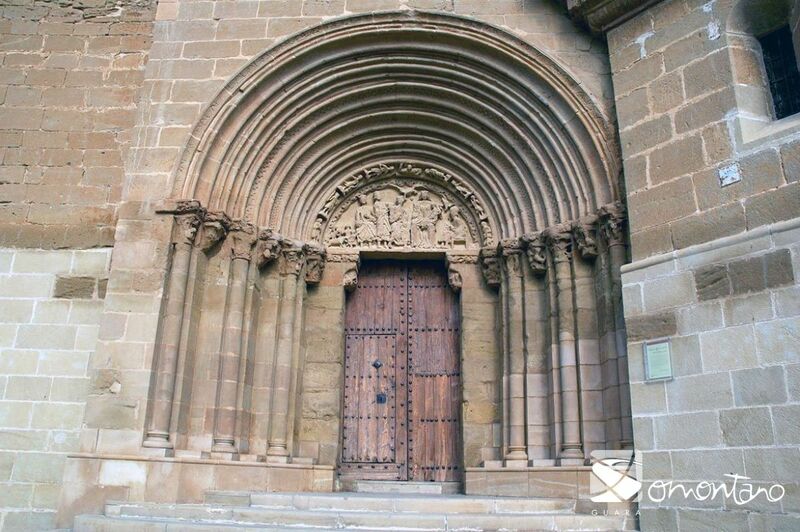 The lintel above the door is crowned by a semi-circular area known as the tympanum. This space offered a multitude of possibilities for including bas-relief and provided the medieval artist with a chance to shine. Of the six archivolts, two have a geometric, chequered decoration and the one closest to the door reveals medieval tradesmen; a shepherd, knight, musician and weaver. In the centre there is a figure of God making a blessing. The decorations of the capitals represent the deliberations of the soul’s actions at the Final Judgement and Adam and Eve at the Tree of Life followed by their expulsion from the Garden of Eden. Unfortunately, all of the sculptures are in poor condition. The tympanum includes a scene from the Epiphany. The Virgin Mother is the central figure of the scene in which the three kings are worshipping the baby Jesus. They symbolize the three ages of man; youth, maturity and old age. To the far side of the scene, Joseph appears almost absent from the event, looking on distractedly with his head insolently supported on his right arm. He gives the impression of waiting in the corner until a tedious family get-together has finished. The heads of two lions have been carved from the cantilevers that support the tympanum. If the house of a mortal has guard dogs, then it is fitting that the house of God should have the splendid figure of a lion with a proud mane and huge teeth. The lion to the right has a human figure between his jaws. This communicates that the lion is the guardian of a sacred place, which must be entered with a renewed spirituality that is clean of sins. The image represents the death of the earthly body and symbolises access to knowledge and everlasting life.